Improve the Appearance of Your Smile with Dental Care Services! If you have broken, crooked, discoloured or missing teeth, then you may not be as confident as you could be with your smile. Fortunately, there are many dental procedures that can not only help to restore your oral health, but they can also help you feel better about yourself. One of the most common procedures for restoring a beautiful smile are dental crowns. A dental crown (sometimes called a cap) covers the entire tooth. Crowns are frequently recommended as a remedy to protect weak teeth, but they can also be used to cover badly discoloured or misshapen teeth. Dental crowns may also be used to cover a large filling – especially when that filling starts showing signs of wear and is unlikely to be replaceable. Crowns can be made from a number of materials including metal, resin, or ceramic and while they can be pricier than other dental procedures, dental crows can last a very long time if you take care of them. Other dental procedures that can help improve the appearance of your smile include whitening, bonding and inlays and onlays. While there are several do-it-yourself whitening products on the market, the most effective teeth whitening is still the treatments that you receive from your dentist. Particularly if your teeth have become stained from years of smoking. Remember though that whether you opt for at-home treatments or visit your dentist, whitening products are not meant to clean teeth. You should still practice a good oral hygiene regimen of brushing and flossing. If you are self-conscious about gaps between your teeth, then bonding offers a solution. 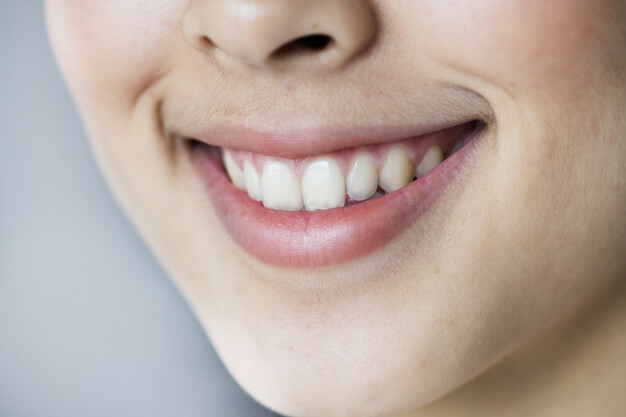 Composite fillings that perfectly match the colour of your natural teeth can help to fill in spaces making teeth appear straighter and stronger. Alternatives to this treatment include veneers or lamination. Another treatment for restoring damaged or misshapen teeth is porcelain inlays or onlays. These are customized to fit your teeth and can fill in areas where the tooth has been damaged or does not have a natural-looking shape. The above is just a sampling of some of the many procedures available to help you improve the appearance of your smile. If you feel dissatisfied with your smile for any reason, the best thing to do is discuss it with your dentist. He or she may recommend dental crowns, whitening, bonding, onlays or some other treatment. It all depends on the condition of your teeth and what problem you are trying to solve. For more information on how you can improve your smile, schedule a consultation at Sapphire Dental Centre today. Call us at 905-878-8760.